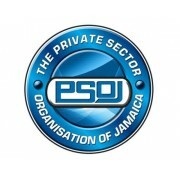 A partnership between the Private Sector Organisation of Jamaica (PSOJ), USAID and the Jamaican private sector, YUTE is a holistic programme designed to empower young people in troubled communities by providing them employment opportunities and improving their employability through mentorship and skills upgradation. The Youth Upliftment Through Employment (YUTE) program is designed as a private sector intervention to address the urgent needs of at-risk, inner-city youth between the ages of 16 - 29. YUTE was designed by and is co-ordinated by the Private Sector Organisation of Jamaica (PSOJ), following the negative impact of the civil unrest in Tivoli Gardens, West Kingston in May, 2010 that impacted the lives of thousands of young people. YUTE has adopted a two-year aggressive approach that zeroes in on some of the root causes of violence and unemployment among young people, and improves their chances for employment through mentorship and skills upgrading. The program builds technical and social skills and provides long and short term economic and entrepreneurship opportunities for 2,200 unattached young persons in in eight Kingston communities. YUTE has received US$400,000 from Caribbean Basin Security Initiative (CBSI) funding – a congressional priority – for the first phase from January 2011 to June 2013. It is estimated that this public-private partnership will leverage US$10.5 million in inkind and private sector funding. The MSME Alliance is a network of business organizations representing more than 300,000 Micro, Small and Medium-Sized Enterprises (MSMEs) in Jamaica. We are committed to creating strategic alliances and meaningful partnerships that can empower MSMEs. We engage in lobbying activities to improve the representation of MSMEs in Jamaica and the Caribbean. The MSME Alliance aims to provide a forum for MSMEs and other stakeholders sharing a common interest to meet in a spirit of friendship and cooperation for mutual benefit and with a view to fostering good commercial and social relations. It also aims to improve the capacity of business associations to work together in addressing the core problems facing the MSME sector in an effort to increase the competitiveness of MSMEs in Jamaica and CARICOM. The JFLL is an agency of the Ministry of Education and is charged with the execution of adult and youth learning and lifelong learning interventions from basic literacy to the secondary level. It is also the lead agency of the GOJ in coordinating with local and international partners in the national drive to accomplish the National and international UNESCO goal of Education for All to support national economic and social development in the thrust towards Jamaica’s Vision 2030 goals. JFLL offers programmes of study ranging from basic literacy and numeracy up to the level of CSEC subjects in a variety of disciplines and courses in computer applications usage. Courses are available at 30 Adult Education Centres (AECs) island wide with computer courses at select locations. Additionally the JFLL is grateful for its partnerships with a wide variety of civic and religious organizations to support courses at 100 volunteer or independent AECs across Jamaica. 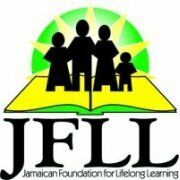 Further proof of the strength of volunteerism for which the JFLL is grateful is that while it employs a cadre of part time and full time teachers, it welcomes the support of over 150 Jamaicans who have opted to volunteer their service as teachers with the JFLL. The JFLL is also a critical policy advisor to the Ministry of Education through its advice of the adult education and adult literacy components of the National Educational Strategic Plan. It serves this role based on both information generated from its field activities and from its collaboration with UNESCO and other nations to share trends in adult education, best and worst practices and new methods to advance the state of learners worldwide. Through its coordination and execution efforts and with the approval of the Ministry of Education, Jamaica has become one of the signatories to the Belem Framework for Action, a watershed document that commits its signatories to a set of actions and policies that will advance the educational status of their individuals. In fact Jamaica has already begun meaningful steps toward fulfilling the framework with the establishment and strengthening of monitoring systems and procedures. The organisation seeks to influence national policy issues of a political, social, or economic nature. The Private Sector Organization of Jamaica is a voluntary national organisation of private sector associations, companies and individuals that are working together to promote a healthy and productive private sector. One of the primary mandates of the PSOJ is advocacy. The proactive participation of members, through a number of committees, impacts directly on the development of the private sector. The PSOJ continues to make meaningful representation on behalf of the private sector to ensure that its presence and strong voice are always maintained. Encouraging and assisting members in the use of efficient and modern production methods and the maintenance of excellent product quality and proper standards of safety. Promoting the use, in Jamaica and overseas, of products manufactured in Jamaica. 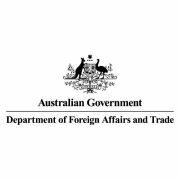 Assisting members in securing markets through participation in trade shows, conventions and trade missions both locally and overseas. Promoting free discussions on opportunities and challenges in the manufacturing sector. Fostering, encouraging and promoting fair business practices and public interest in manufacturing. Providing members with up-to-date information on the global business environment. Making representation to Government on legislations and regulations affecting the manufacturing sector. Speaking out on matters affecting the welfare of manufacturers and collaborating with private and public sector organizations to ensure that manufacturers’ interests are served. Assisting members to secure concessionary rates of duties on certain categories of imported raw materials. 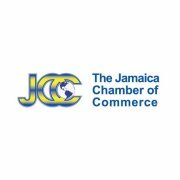 The Chamber The Jamaica Chamber of Commerce is a membership-based organization comprised of businesses and professionals working together to build and promote a healthy economy and to improve the quality of life in our country. The primary of the Chamber is to ensure the most favourable environment for the effective and profitable operation of businesses. Considerable emphasis is placed on projects which will enhance the development of the wider community. The primary function is subdivided into services offered by the Chamber and specific activities that it carries out, in its role as economic advisor and business advocate. The membership of the Chamber is comprised of large, medium-sized and small firms – and individuals - in virtually all productive sectors. Member firms are engaged in retailing, manufacturing, finance, law, distribution, food services, and a range of other interest areas. Since its inception, the JMMB Group has established itself as one of the leading brokerage houses in the Caribbean, now offering a wide range of investment solutions, banking and insurance services in Jamaica, Trinidad & Tobago and the Dominican Republic. Known for its pioneering spirit, the Company has consistently introduced new products and services to its extensive client base of over 190,000 – individual, corporate and institutional. JMMB Ltd. opened for business in November 1992 as the first Money Market Broker in Jamaica.ince then, the Company has become one of Jamaica’s largest, most successful financial institutions, with two subsidiaries in Jamaica – JMMB Securities Ltd. and JMMB Insurance Brokers Ltd. JMMB, inclusive of its subsidiaries, has over 320 team members, nine branches and ten Electronic Transaction Machines (ETMs), most offering dual currency options island-wide to ensure convenient access to a wide client base. Today, we are Jamaica’s third largest financial institution. Inter-American Development Bank (IDB) supports efforts by Latin America and the Caribbean countries to reduce poverty and inequality. They aim to bring about development in a sustainable, climate-friendly way. Established in 1959, they are the largest source of development financing for Latin America and the Caribbean, with a strong commitment to achieve measurable results, increased integrity, transparency and accountability. They have an evolving reform agenda that seeks to increase their development impact in the region. While they are a regular bank in many ways, they are also unique in some key respects. Besides loans, they also provide grants, technical assistance and do research. Their shareholders are 48 member countries, including 26 Latin American and Caribbean borrowing members, who have a majority ownership of the IDB. Their Fund for Special Operations (FSO) provides concessional financing to their most vulnerable member countries. Given their shareholder base and prudent management, they have a strong financial position. As a result, the IDB is able to borrow in international markets at competitive rates and transfer that benefit to their clients. Partnering with clients, the IDB seeks to eliminate poverty and inequality, and promotes sustainable economic growth. The Bank supports clients in the design of projects, and provides financing, technical assistance and knowledge services to support development interventions. The IDB focuses on empirical evidence for making decisions and measuring the impact of this projects to increase its development effectiveness. The IDB lends to national, provincial, state and municipal governments as well as autonomous public institutions. Civil society organizations and private sector companies are also elegible for IDB financing. In the Ninth General Capital Increase, the Board of Governors mandates the Bank to pursue two overarching objectives: reducing poverty and inequality and achieving sustainable growth. Alongside these objectives are two strategic goals: addressing the special needs of the less developed and smaller countries and fostering development through the private sector. -protection of the environment, response to climate change, promotion of renewable energy and ensuring food security. 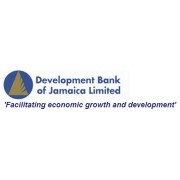 The Development Bank of Jamaica Limited is a corporation that is wholly owned by the Government of Jamaica and is mandated to foster economic growth and development of strategic sectors of the Jamaican economy. It was created in April 2000, from the merger of the Agricultural Credit Bank of Jamaica Limited and the National Development Bank of Jamaica Limited. The operations, assets and liabilities of the National Investment Bank of Jamaica (NIBJ) were further amalgamated with the DBJ on September 1, 2006. The DBJ’s aim is to facilitate the growth and development of all viable enterprises in the productive sectors of the Jamaican economy. These sectors include agriculture and agri-processing, manufacturing, information technology, mining and quarrying, energy, services and tourism. Appropriate medium and long-term financing solutions [through alliances with Approved Financial Institutions (AFI) and other financiers] in a timely and efficient manner and at attractive interest rates to all entities, but with an emphasis on small and medium-sized enterprises. Direct lending for large projects in strategic areas. Management and privatization of national assets and investments. The DBJ utilizes its own resources and borrows funds from external financial institutions for on-lending through its network of AFI partners. The DBJ continues to support the Government’s focus on productivity and, for the financial year 2010/11, approved J$2.7 billion for the development of the productive sectors. Of this amount, J$2.24 billion (J$1,637 million and US$7.1 million) was disbursed for 4,430 projects in the sectors of agriculture, agro-processing, manufacturing, tourism and services. Of the J$2.7 billion, a total of J$1.2 billion was committed and disbursed to the micro, small and medium-sized enterprises (MSME) sector by approved financial institutions (such as commercial and merchant banks, credit unions and the National People’s Cooperative Bank of Jamaica) to over 200 small and medium-sized businesses, while micro finance institutions (MFI) on-lent $228.6 million to over 4,000 micro enterprises. This resulted in the Bank’s funding activities helping to establish nine new companies, create over 850 new jobs while maintaining close to 7,000 existing jobs. The Jamaica Manufacturers & Exporters Association (JMEA) is Jamaica’s leading industry association, serving as the voice of exporters, manufacturers, service providers micro, small and medium enterprises (MSMEs). The JMEA provides vital support to the industry through advocacy, strategic partnerships, export services, research, capacity building and access to finance. The Jamaica Manufacturers & Exporters Association (JMEA) remains instrumental in helping their local companies expand and export. Their members form the cornerstone of Jamaica’s business community and it is the group that continues to drive new thinking and works diligently to foster a stronger economy, which is evident in the long-term success of renowned Jamaican brands. 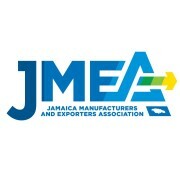 The Jamaica Manufacturers and Exporters Association Limited (JMEA) is a limited liability company that promotes the development of the manufacturing and export sectors and endeavours to increase their contribution to the socio-economic welfare of the country by creating jobs and improving the standard of living for all. Today, the Association represents manufacturers and exporters in several sub-sectors as well as institutions and organizations that provide services to these sectors. - Collaborating with external funding agencies in the identification and implementation of development projects.